It looks like the advocates of recreational marijuana legislation will have to wait a little bit longer. According to a recent NJ.com article, it appears as though the proposed legislation regarding the legalization of marijuana will not be presented prior to the end of October, a goal previously designated by New Jersey’s legislative leaders. Nevertheless, State Senate President Stephen Sweeney and State Assembly Speaker Craig Coughlin believe that the proposed legislation will be presented before the end of the year. With hundreds, if not thousands of marijuana cases still pending in the New Jersey court system, each delay will continue to adversely affect these defendants. What is the Reason for the Delay in Marijuana Legalization? 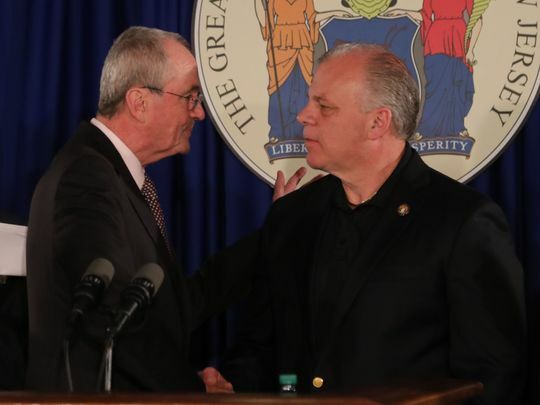 According the legislative leaders, there still remain multiple points of contention between themselves and New Jersey Governor Phil Murphy. Without confirmation that the Governor will sign the proposed legislative bill into law, State Senators and Assemblymen are weary to put forth their bill. However, both Sweeney and Coughlin remain hopeful that they can come to an agreement on these perceived shortcomings in the coming weeks. According to individuals close with the negotiations, one of the main points of contention revolves around the proposed sales tax for the consumers. On one end, Stephen Sweeney is proposing a maximum of 12% sales tax, while Governor Murphy is seeking a significantly higher rate. Additionally, both the legislators and the Governor are at an impasse over the authority that should be instilled upon the possible “cannabis commission” that could control the issuance and regulation of “marijuana licenses.” Governor Murphy is apparently seeking that this commission be incorporated with the Department of Health, while Stephen Sweeney would prefer an autonomous and independent commission. Another interesting point of concern among legislators is the inclusion of “impact zones”. Specifically, the current bill apparently attempts to address racial inequities, by setting a 25% goal of marijuana business licenses for residents of impact zones. These impact zones would be determined by poverty rates and other factors, though no specific formula has been released. While many New Jersey resident wait on bated breath for New Jersey politicians to take action on the legalization of recreational marijuana, it appears that the end is possibly in sight. For those individuals still facing criminal charges for marijuana possession of distribution of marijuana, the criminal defense lawyers at Proetta & Oliver are available to help. Firm Partner and Former New Jersey Deputy Attorney General, William C. Fay, Esq., heads our criminal practice group and will gladly consult with you regarding your pending criminal matter. For an immediate consultation, please call (609) 850-8284.